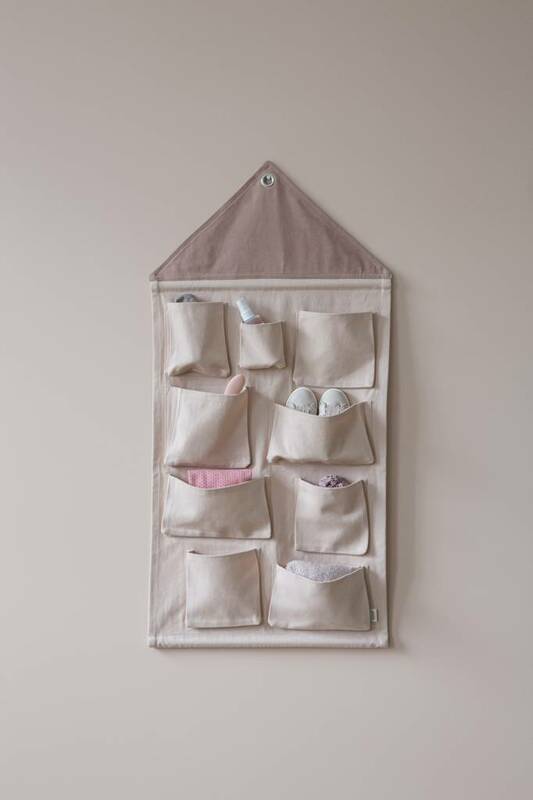 Keep clutter at bay with ferm LIVING’s handy wall tidy. 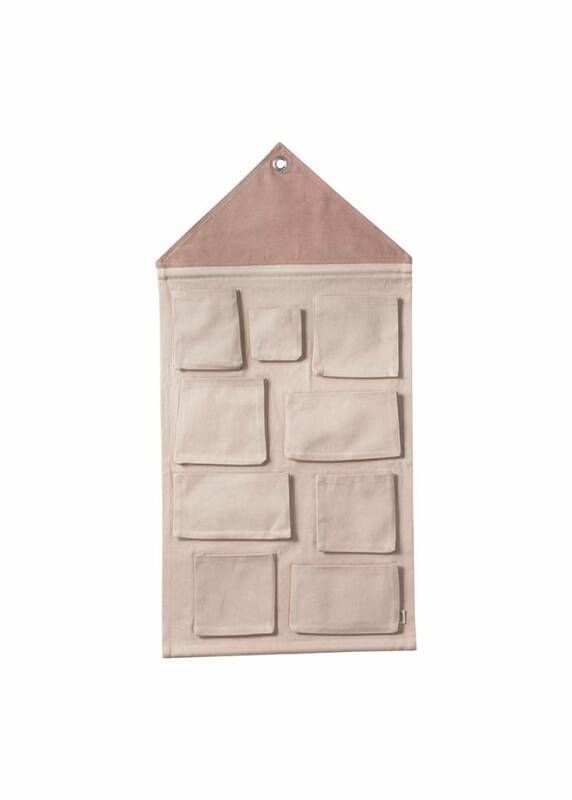 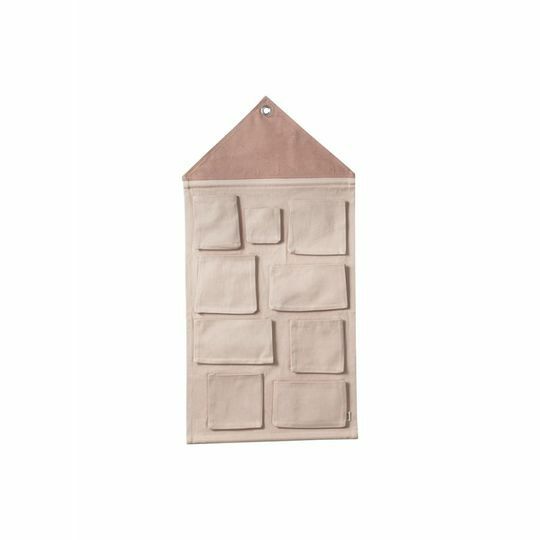 Crafted from durable cotton canvas in gorgeous color, this house-shaped design features nine handy pockets, perfect for storing smaller items. 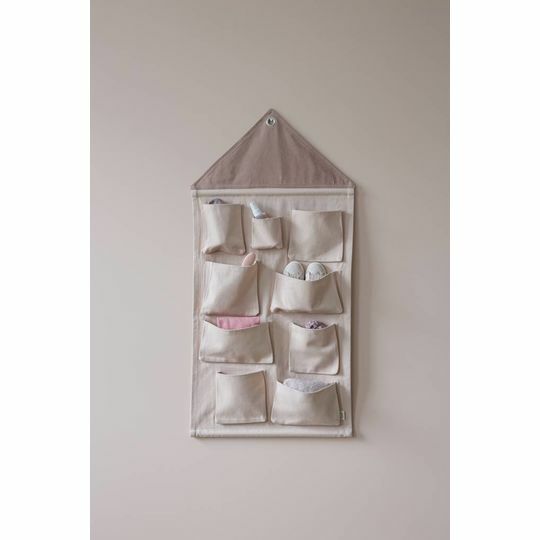 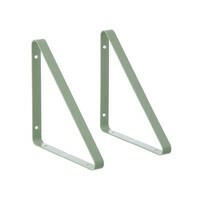 The practical eyelet ensure easy hanging, wherever you decide to use it.